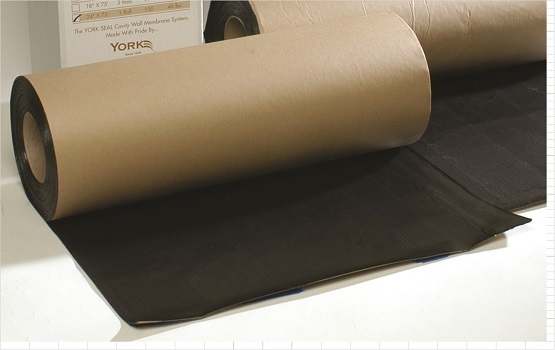 York Seal is a proprietary, self adhering composite membrane, uniquely combining high strength, low temperature adhesion and high temperature stability into a superior barrier to limit air and moisture transmission. A tough 5 mil (0.1mm) high density polyethylene film forms a resilient barrier to physical damage. The proprietary, modified asphalt offers the waterproofing effectiveness of traditional modified bitumen products with low temperature adhesion. - Fittings around doors and windows.